Voice and data operations are becoming more common and necessary for public safety operations. When disaster strikes, law enforcement officials need to have the right tools available to ensure the information is instant and up-to-date. The APX7000L delivers. 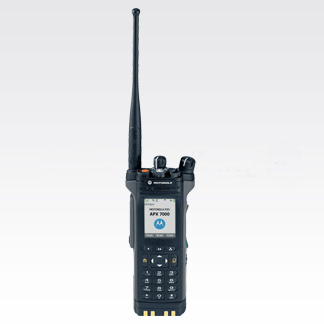 The APX7000L is created and engineered to give you a sleek and rugged design with the ability to perform data operation such as IV&D, GPS, POP25, and Over-the-Air-Rekeying functionality over an LTE network. With data and voice available simultaneously, this solution is ideal for federal agencies that need to have the most current information in order to focus on the mission. 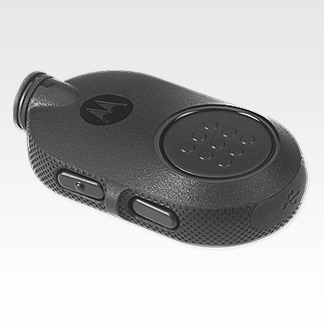 Motorola's POP25 solution allows subscriber radios to be programmed over the air via the ASTRO 25 systems while remaining in the field. Available over LTE-4G or LMR. Allows subscriber radio to be rekeyed over the air via the ASTRO 25 system while remaining in the field. Available over LTE-4G or LMR. Offers a free-form or canned messaging solution so you can efficiently and discreetly send and receive messages. Available over LTE-4G or LMR. Enables accountability and location tracking of an individual or vehicle, which can be sent to a map-based location application. Available over LTE-4G or LMR. FIPS 140-2 Level 3 certified hardware encryption provides tamper-proof security to ensure the highest level of secure communications. The only compact, lightweight dual-band radio that delivers the convenience of two radios in one, while maintaining APCO TIA receiver specifications. Available only in 800MHz and VHF for LTE operation. Twice the voice capacity, allowing additional users on the system without the need for additional frequencies or infrastructure. Provides standard 1200 channels/talkgroups for model 1.5 and 3000 channels/talkgroup for 3.5. 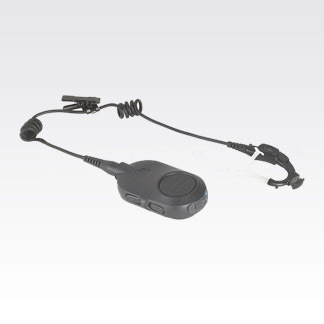 Dual Mic noise suppression technology locates the talker and cancels out any background noise. Custom designed 1 watt loudspeaker reproduces speech dynamics for superior intelligibility in most environments. Uses color to notify you of the radio mode, potential emergencies, or specific events. Color alerts provide information at a glance. Audible, pre-recorded voice file provides a description of the selected channel or zone. Provides the latest noise reduction software for users that frequently encounter loud environments. Option available to connect quickly, securely and simply to certified Bluetooth devices. Adjust audio levels, lighting and tones through user selected or automated options. Whether on surveillance or working in bright sunlight, you can customize settings as needed. Universal push-to-talk button with enhanced grooves is easy to find by touch. Innovative T-grip design gives you a secure grip and better control. Simple to navigate and use. High-contrast color display is easy-to-read in all kinds of light. The eight-character display presents zone/channel information in a seamless hands-off operation. Includes an expansion slot that supports future option cards and data applications. Weight (without standard battery): 13.5 oz. Weight (with standard battery): 19.8 oz.